BOOST writing skills for your students! Save time, energy, and your paper quota with the Online WRITING feature on ScootPad. This post covers how to add writing assignments for your students to build and enhance their creative and critical writing skills. Enter in your own prompt so students know what you expect them to write about. 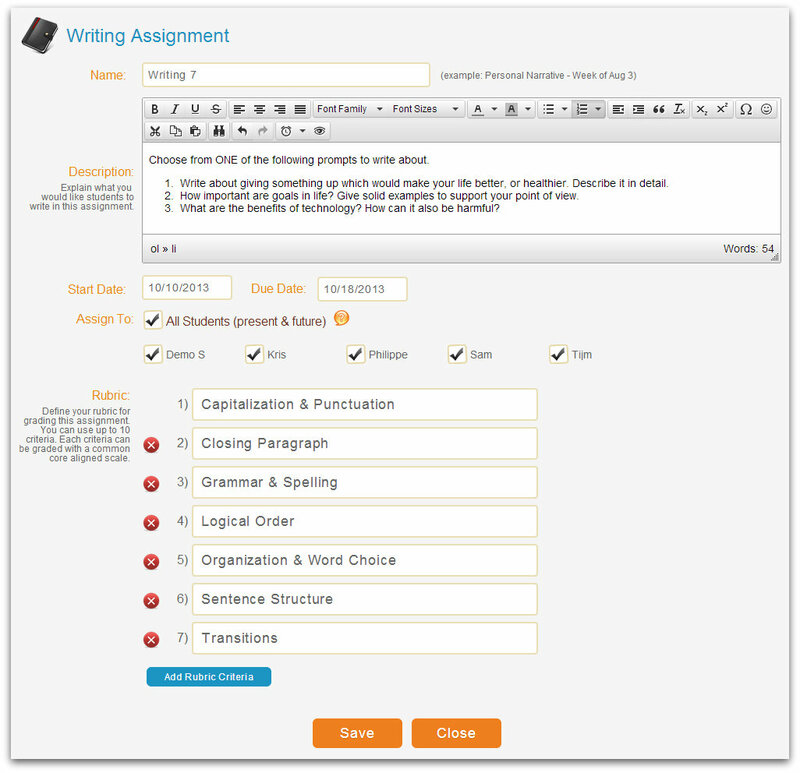 Customize the rubric to fit YOUR criteria which helps guide students in their writing process. 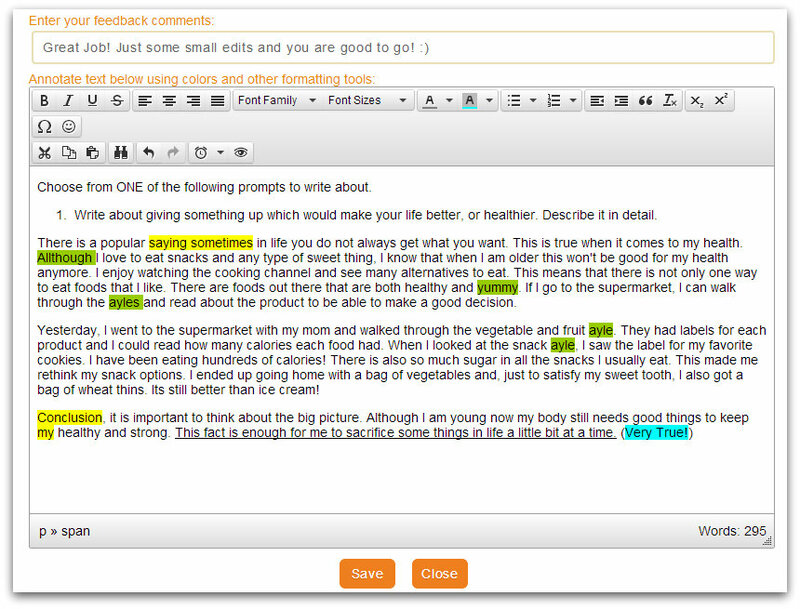 Annotate, highlight and give feedback to your students in REAL-TIME. Track multiple revisions of student submissions. 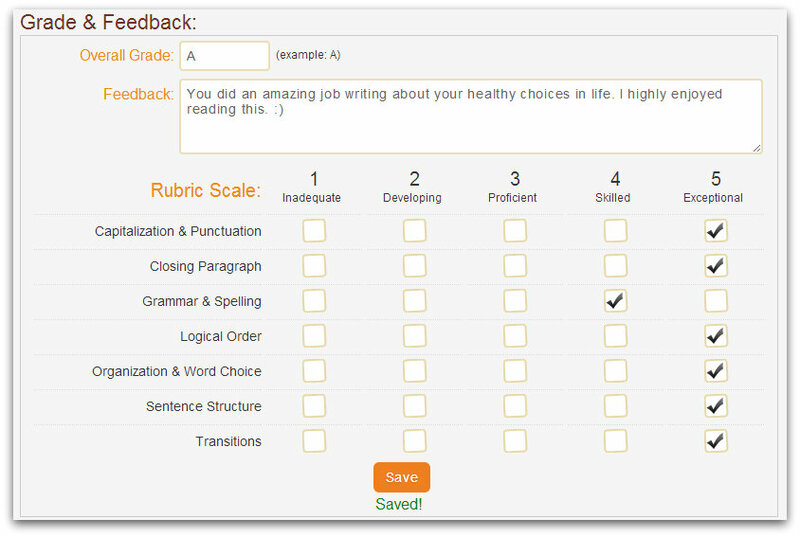 It’s easy to grade using the writing rubric and common core aligned 1-5 scale. Students see how they did overall and precisely which areas need more attention. 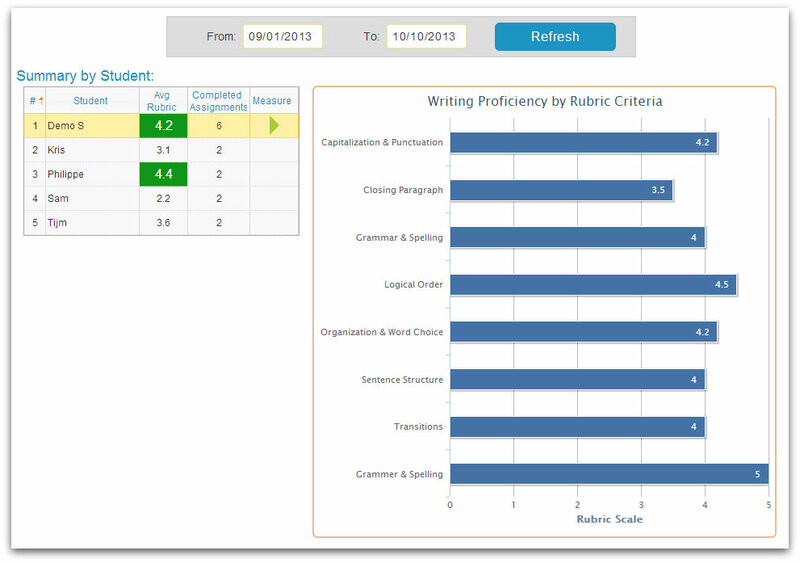 Monitor writing skills for each student across rubric criteria on a 5-point scale. Review overall writing proficiency over a specific time period. ⇝ Introduce different styles of writing (narrative, persuasive, and so much more)! Improve student behaviors & engagement! Engage students with GRL aligned eBooks!